SUGAR cooperatives of Maharashtra that have set up power plants that use sugarcane waste as fuel, are trying to wriggle out of their commitment to supply power at lower rates to the state-owned power distribution company, Mahara- shtra State Electricity Distribution Co Ltd (msedcl). Nagpur-based Purti Sugar Mills has moved an appeal before the Appellate Tribunal for Electricity in New Delhi, saying it should be allowed to sell power to any agency it chooses. The tribunal's decision will have far reaching effect as all sugar mill-owned power plants being set up in the state are obliged to sell 50 per cent of the power they generate to msedcl at half the market rate. Fifty-five sugar cooperatives in the state are setting up bagasse-based cogeneration (generating two or more forms of energy) plants to produce 1,000 mw electricity. Ten of them will start production by the end of the year. Last year the state government decided to give subsidy to bagasse-based plants on the condition they sell at least 50 per cent power to msedcl at fixed rate. Purti Sugar Mills, owned by a former state minister, reneged on its agreement with msedcl. The Maharashtra Energy Regulatory Commission merc had then stepped in and prevented Purti Mills from selling power to any third party. 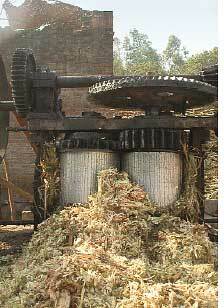 The Sugar Mill appealed to the tribunal. It cited the case of Chandrapur-based Yash Agro Energy that was allowed to sell to a third party. "The purchase tariff fixed by merc at Rs 3.05 is too low. It should be at least Rs 6 per unit. Karnataka is offering Rs 7 per unit," said Sudhir Diwe, managing director of the mill. In a related development the sugar cooperatives, under the banner of Cogeneration Association of India, appealed to merc in December 2008 that they should be paid Rs 4.50 per unit of power. The association has been asked to give details of generation costs. Simultaneously the state government has moved a proposal to do away with the condition that mandates that sugar cooperatives supply 50 per cent power generated to msedcl. Shantanu Dixit of non-profit Prayas that advocates renewable energy said he would challenge the increase sought in power purchase tariff. He also said there was no reason the cooperatives should be exempted from supplying 50 per cent power at fixed rate as they are getting government subsidy. Mahesh Zagade, director general of Maharashtra Energy Development Agency, refused to comment on increasing power purchase tariff. He said it was a "quasi judicial matter".